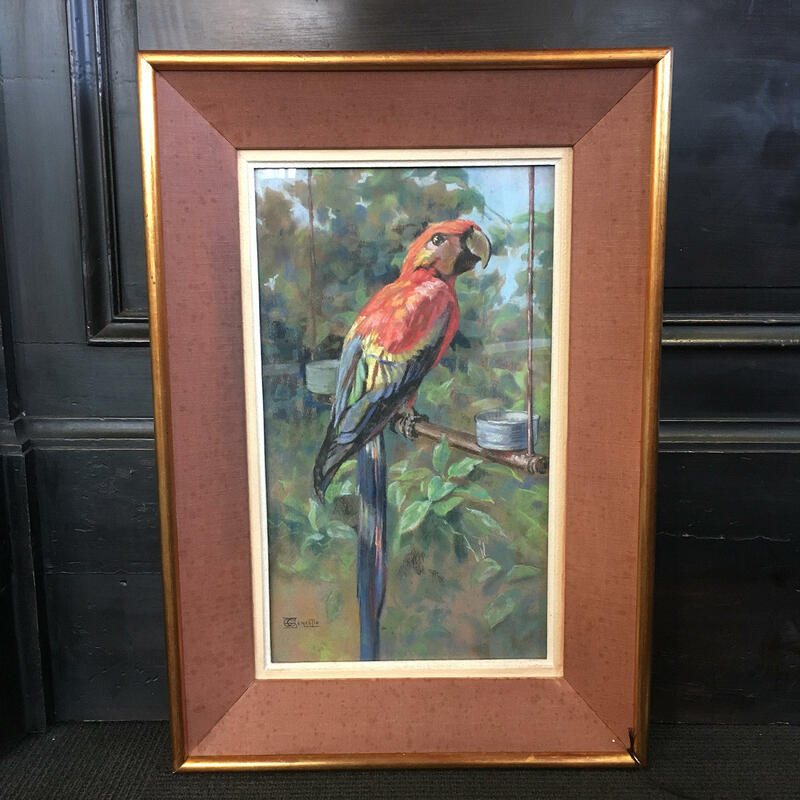 Original French framed pastel picture of a Macaw. 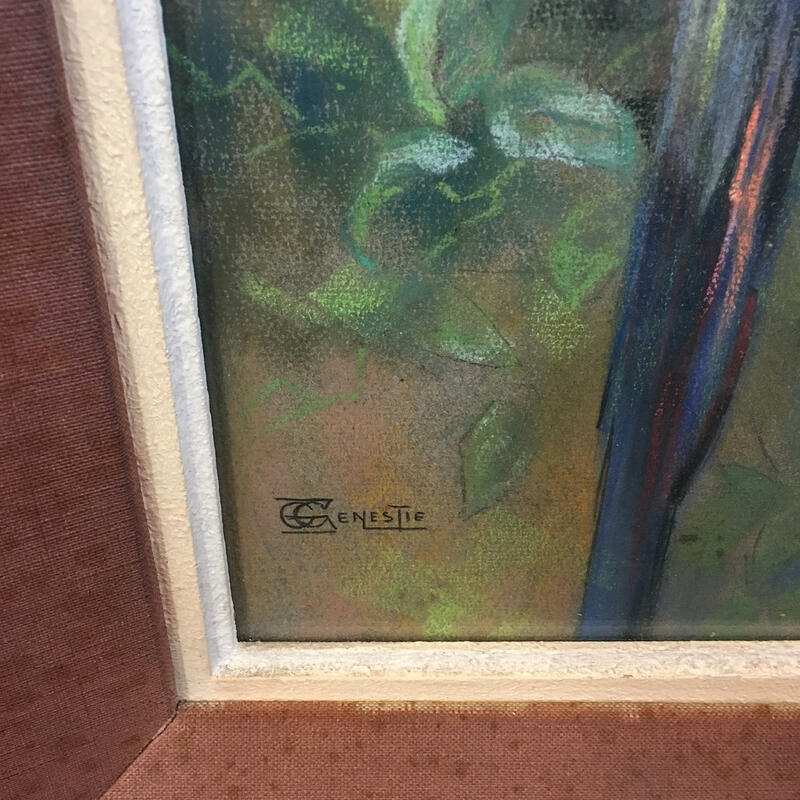 Signed G. Genestie. 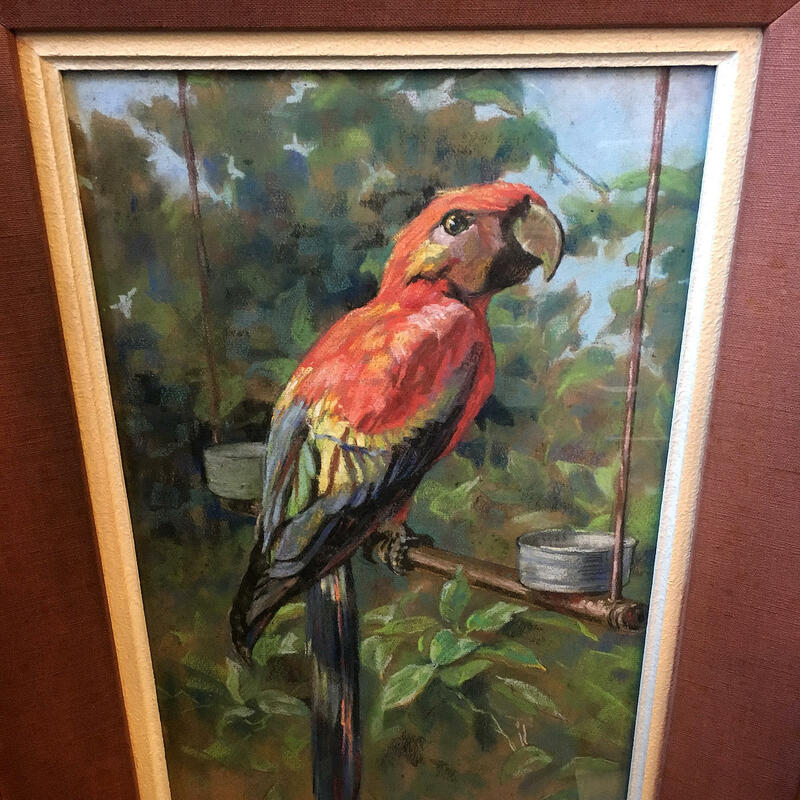 Dating from the 1940s.